Marketplaces and prices shown matched UPC number 764152650161 during our search. 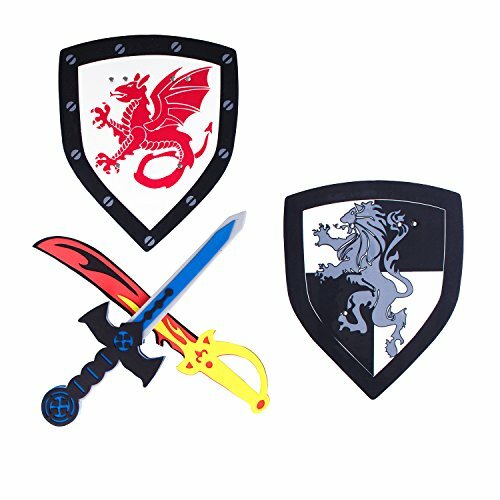 Each package comes with an assortment of foam swords with blue with yellow handles and red with blue hand covered handles. Perfect for distinguishing separate team activity competitions. Action packed sword play excitement for your little ones out door fun. Perfect for class plays or playing make-believe games that are great for themed events like as stealthy ninjas, scary pirates, brave knights, warriors, and vikings! Makes the perfect pastime activity at home or school recess playtime. 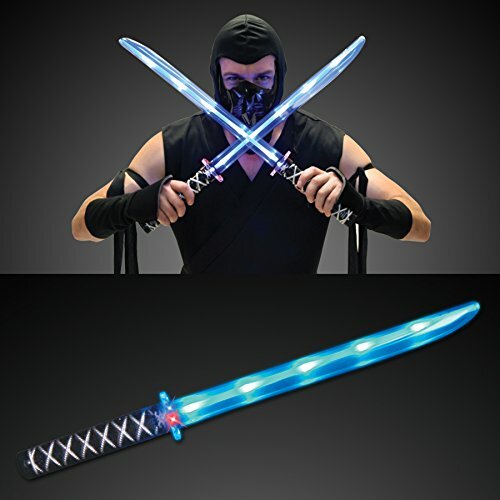 Slay the competition with these active fun toy foam swords measuring at 17" inches long. Soft enough for play battles since the toy swords are made of foam and comes in a variety of colored handles with grey blades. Make a great kids warrior knight halloween costume. A fun and engaging party favor that is guaranteed to be a hit at any birthday party. The one and only active hot toys kids will love and remember. Make them the go to party games child's play activity swimming pool toys. Pair these with fun favorties like sports balls with other novelty toys, pool toys, water guns, and other novelty birthday party favors. Each sword measures a total of 17" inches long. 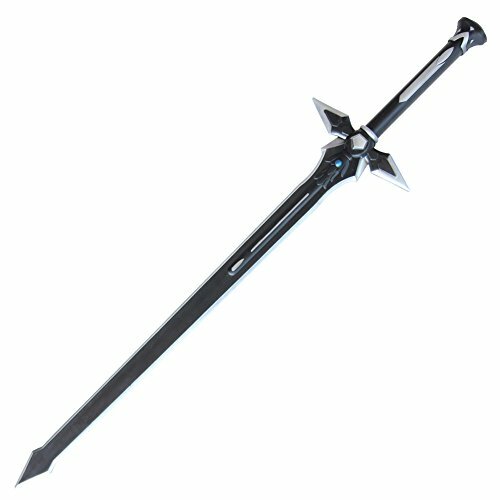 Every order includes a package of 6 foam swords. These toy foam swords are sturdy yet soft enough which makes them child friendly to ensure safety. Make these giveaway hot toys the main highlight when enjoying an afternoon at the park or for those warm summer pool partys. A must for leisure sports in any game room. Makes the perfect pairing prize with kids party favor boxes, party favor bags, candy bags, and party favors for adults. Have these foam toy birthday party supplies ready for your next special event. These kids toys are the perfect companions for any game room and game day school rewards and prizes for children. This toy pirate sword foam rouser is the perfect product for any school or local teams with a pirate mascot. Long pirate foam rouser are great at concession stands so every fan has the perfect gear to cheer on your team. NOTICE: The "Super Z Outlet" seller is the only authorized seller, we do not sell wholesale so there should be NO other sellers; Any other sellers are illegally selling their own products using our registered Trademarked company name. In this listing, purchasing from any seller other than "Super Z Outlet" will result in a potentially faulty product that may be unsafe and cause injury. Please be sure to purchase this product from the "Super Z Outlet" seller to avoid any problems with your product and to ensure both your safety and satisfaction. 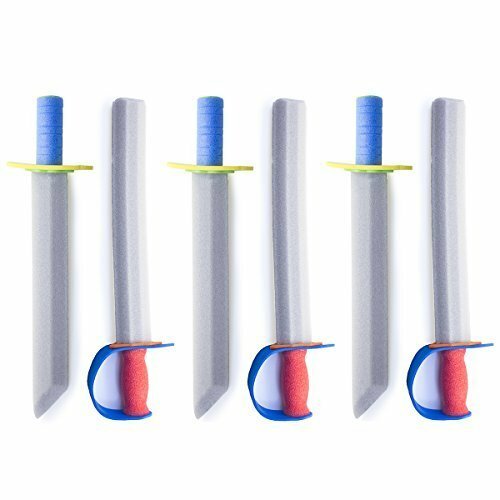 Loads Of Fun With Little To No Chance of Injury!Super soft yet durable toy foams swords are the perfect party favor for you or your child's next birthday party/event!Comes in a pack of 6 foam swords. 3 with a blue/yellow straight handle and 3 with a blue/red hand cover handle. Each sword measures a total of 17" inches long.